Happy New Year to all FaithinIrelanders ! Many blogs have end of year lists of the best books, films etc. Rather than do that, I hope it does not seem too self-obsessed to reflect aloud on 1 year of blogging (I began on 1st January 2010). – As far as I’m aware there are very few theoblogs of any theological persuasion in the Republic. Why not I wonder? (Or am I missing something – happy to hear of them.) The fact that four of a limited number – including pioneer soon to be veteran Creideamh.ie, NellyandI (a blend of theology and medicine) and too rarely posting Transfarmer and Sayer – all belong to the same wee church as me just highlights the question. Or at least raises another about what has prompted this outbreak of blogging in Maynooth! – Blogging in general seems still to be only on the outer margins of the Irish church’s consciousness in a way that I suspect is not true in the US (or Britain?). Few Christians (including church leaders, Bible teachers, theological students, I’ve talked to seem to read or even be aware of blogs in general; are there any pastors who are actively blogging in the Republic of Ireland?). Is this just a numbers thing or something else? – I’ve found the discipline of regularly putting ‘pen to paper’ really helpful. I guess I process thoughts as I write rather than as I talk. So writing is enjoyable and blogging gives an outlet for the scribbler’s itch. I don’t have any great agenda beyond this – I hope people who visit find it a useful resource and a safe, civil place for conversation. – On safe, civil places to explore theological ideas and their implications for life – this is one thing I love about teaching at IBI – it has a broad evangelical ethos that give space to students (and teachers) to do this. Again and again students have said how much they enjoy this and how, in the busyness of church life, there is a rarely a structured forum for it to happen. So I’m a bit surprised how limited an activity blogging remains here. 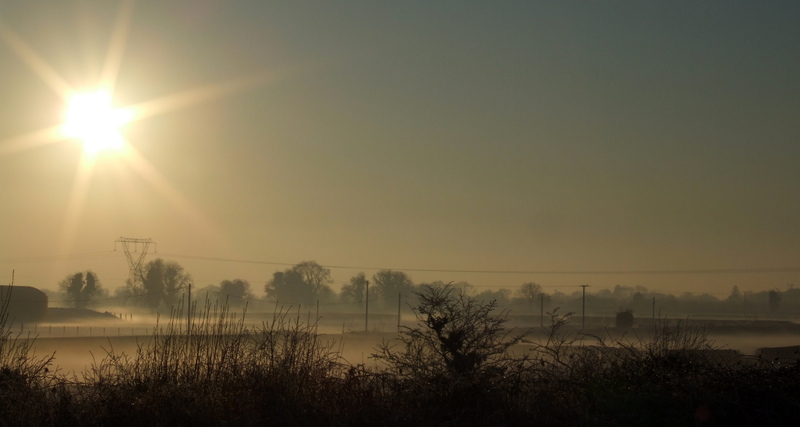 On FaithinIreland itself: I haven’t been carefully planning themes to post on – they just sort of emerge connected to the broad theme of living out a faith in Jesus in an Irish context. A quick review shows these are the ones that have shaped this weblog and I’m glad of suggestions or ideas for 2011 (I’d like to get into some more Christology). Contemporary Ireland: Political and financial crisis, issues of markets and (im)morality; politics. Bible Studies on Mark:- I’ve enjoyed these simple reflections more than anything else. Nothing beats Jesus! What is your reaction to unexpected things going wrong – with a body or a machine? (iv) get on with things. But musing on this a bit, such a reaction is pretty pathetic. First, it assumes an entitlement or right to an easy life, that, when disturbed even at a superficial level, is a legitimate source for complaint. But a right to an easy life is a very recent notion and it sure isn’t a Christian one. In fact, exactly the opposite should be the expectation for Christians called to follow a crucified Messiah. Second, linked to this, watching the news of families taking buckets down to the local river being interpreted as an unprecedented and outrageous failure of the water company that people have had to resort to such primitive methods speaks loudly of Western exceptionalism massively detached from the daily desperate search by millions for water to live by. Third, any surprise that life will frequently be hard should be dispelled by Genesis 3:17’s account of humanity’s toil following the Fall. That machines break, pipes burst, bodies wear out and die is all part of the ‘inbuilt obsolescence’ of a deeply broken and imperfect creation where things happen that are deeply and awfully not the way God has designed or wants them to be. That’s not fatalism, it is realism about the nature of things. Rejoice in the Lord always. I will say it again: Rejoice! (Phil 4:4). Fifth, Christian hope looks forward to a new creation where all those D words become gloriously and permanently meaningless. Lets look forward to ripping a whole lot of words out of the dictionary. Scot continues his theme of kingdom of God life being far broader and bigger and all encompassing than a privatised personal and pietistic faith. He does this through sketching 8 examples of concerns found in the parables of Jesus. Parables can be seen as stories of kingdom life. They are stories of God’s ‘kingdom come’ on earth and what life in the kingdom of God looks like in practice. Take note, says McKnight, Jesus never told a ‘personal piety parable’. He did tell many stories of the sorts of attitudes and behaviour and values that mark those who belong to the kingdom of God. God is at work in your ordinary work: the parable of the man sowing seed shows that God is at work in the everyday activities of life such as teaching a child to read, or making a cup of coffee for someone. The little is Large: the parable of the mustard seed shows how apparently insignificant things we do can have significant consequences – such as encouraging someone, visiting a neighbour in need. Kingdom and non-kingdom people co-existing in peace; the parable of the wheat and the tares shows a mixed field where someone’s identity if revealed at harvest. Meanwhile kingdom people are to live in peace with non-kingdom people (as much as possible I would add – it takes two to live in peace). Giving all to kingdom life: the parables of the hidden treasure or pearl of great price show that Jesus’ followers are to give all to his kingdom life. And this might mean radical steps of faith and self-sacrifice to serve others in need. Giving instead of hoarding: the parable of the rich fool show and the rich man who does not help Lazarus, speak of a different world where those who have help those who have not. Such stories challenge kingdom people to be marked by generosity and grace. Don’t trust the religious experts: the parable of the Good Samaritan reveals a world where Jesus’ followers are simply to be Good Samaritans – to love and care for the poor, the marginalised, the vulnerable, the lonely. Hearts matter more than religiosity: a parable like that of the Pharisee and the Tax Collector reveals a world where kingdom people are marked with humility, sober self-awareness of their own sinfulness and a subsequent lack of arrogant judgementalism towards others. Judgement happens: the parable of the net points to a world where there are ultimate consequences for what we do. Those who respond to Jesus’ call to follow will find life; those who reject him will find self-fulfilment does not fill but leaves us empty. Scot’s point in these vignettes is help readers see how the parables are ‘revolutionary scripts’ that Jesus’ followers are called to enter into. They embrace all of life – daily actions, attitudes, money, relationships, hope, justice – for they are portraits of another way of life – kingdom life. And when you start to look at the holistic embrace of this kingdom life it is much more than reducing the good Christian life down to acts of personal piety. I’m enjoying this book as Scot gets into his Bible stuff. 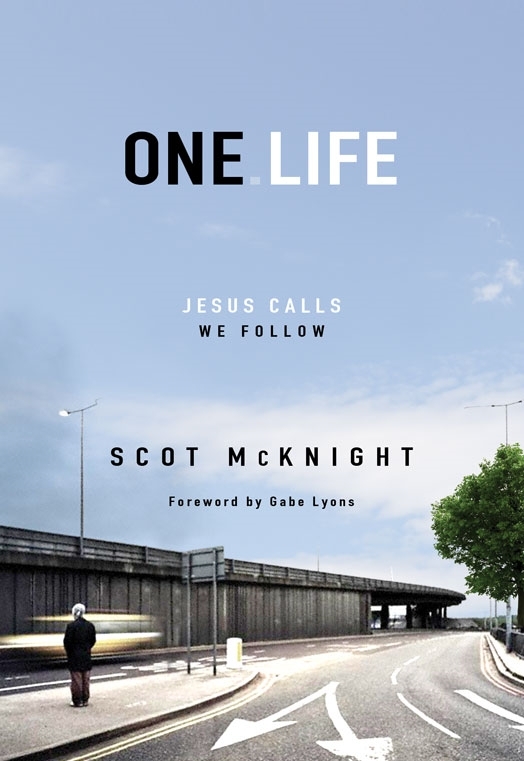 I suspect the sub-text – how Jesus’ call to kingdom life is far bigger and deeper and grander than a narrow individualistic gospel – will resonate more strongly if (like Scot) that has been your experience of evangelicalism. Went with the good wife and 2.0 children to see The Voyage of the Dawn Treader. Now I’ve read wildly varying Christian reviews on this one – compare Ben Witherington (go see it) and Chaplain Mike at Internet Monk (avoid this travesty) for example. Most other media reviews have been unenthusiastic – sometimes simply spiteful. A two line review: Better than I thought it was going to be. I’m with Witherington and not with Chaplian Mike. Plenty good enough to enjoy and be entertained by, as well as some theology lite floating around in green mist…. But this wasn’t just Jesus’ notion – it was the longing of Israel. When Jesus used the word kingdom and attached it to ‘now’ and ‘arrived’, it was dramatic stuff. But what had arrived? Many Christians are unsure how to answer this question. Partly this is because popular evangelicalism reduces Jesus’ message down to an inner ‘personal relationship with Jesus’. Curiously many evangelicals have bought into the old liberal theology (I guess he’s thinking of Schleiermacher et al) that kingdom is an inner spiritual experience. King – who would rule. Specifically the Messiah. And a Jewish king means the end of unjust rule by corrupted and compromised Herodians like Herod Antipas and his masters, the Romans. Land – the Messiah will rule a kingdom from Jerusalem and life will be renewed under Torah. Citizen – each member of the kingdom will love and serve the king, God’s anointed one and this renewed community becomes a blessing to the nations. These are concrete realities says Scot- and as the NT unfolds he argues that this renewed community of Israel becomes the church as ‘the partial and imperfect manifestation of the kingdom of God.’ [Big jump here from Israel to church – I’d have liked a bit more of a tour of how one leads to the other, especially given the level of disagreement among Christians on this]. So kingdom is all about ‘God’s society on earth’. It is all about ‘may your kingdom come on earth as it is in heaven’. And the church is to embody this kingdom here and now. [This is a very McKnight concern – to connect kingdom and community]. Kingdom life is concerned with justice, love, forgiveness, hope, relationship with God and others. Strong words. So to muse on this a bit more – what are some implications if some forms of ‘me-centred’ evangelicalism become theologically detached from Jesus’ call to ‘kingdom of God life’? For this Christmas week I thought it appropriate to do some posts on the mystery of the Incarnation. 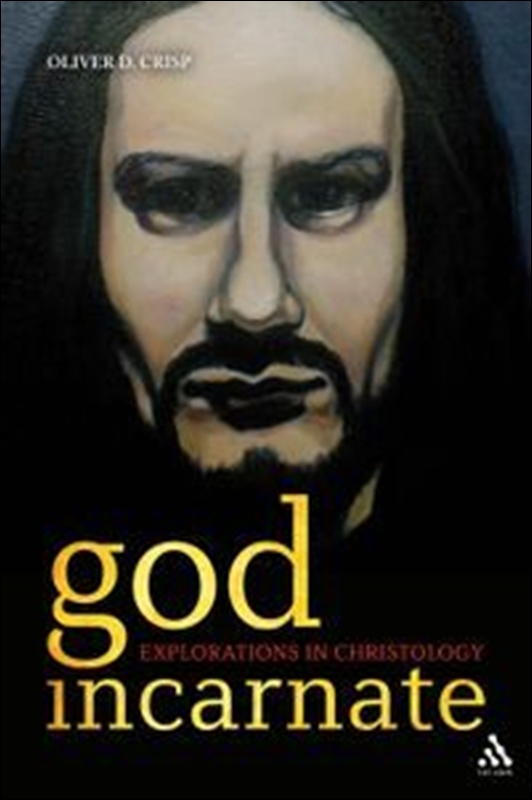 The posts are prompted from a book I’m browsing by Oliver Crisp called God Incarnate: explorations in Christology in preparation for teaching a course on Christology in the New Year. Today – could Jesus sin? Crisp lives up to his name in how he writes. In a chapter called ‘Was Christ sinless or impeccable?’ he explores whether Jesus was sinless because he successfully resisted all temptation, (the sinlessness view) or was he sinless because he, the Word made flesh, could not sin (impeccability). If asked, which option would you agree with? The great weight of orthodox historical theology is on the impeccability side of the argument and it is this traditional view that Crisp sets out to defend as the only one that makes sense and which is consistent with the Incarnation. Some conservatives and evangelicals have suggested the sinlessness view. Crisp names as examples Charles Hodge, Millard Erickson, Trevor Hart. Their concern is to affirm the full humanity of Jesus. How can Hebrews 4:15 really speak of authentic temptation if Jesus could not sin? Again, a big detailed chapter. Here is a key quote summarising one of Crisp’s arguments against the sinlessness view – that it fails to take properly into account Christ’s unique identity that make him unlike any other human being. It would make perfect sense to say that if an individual is fully and merely human as well as being impeccable, then he or she is incapable of sin. But the same cannot be said of Christ, for two reasons. First, he is fully but not merely human – he is also a divine. Secondly … one traditional account of the Incarnation suggests that the Divine Son of God assumes a sinless but peccable human nature, which, by virtue of being united to the Son, is rendered incapable of sin. In other words, Crisp says we have to imagine the implications of a Chalcedonian Christology of the two natures of Christ working itself out in regard to sin and temptation. He suggests an interpretation of Jesus’ temptation in the wilderness to turn stones into bread. Jesus’ human nature is ‘peccable’ (if taken in isolation from his divine nature). He is hungry, he is aware that to turn the stones into bread would be to give in to temptation, he knows he has the power to do so. He is thus in a ‘psychological state’ of being truly tempted. Yet he resists the temptation in the power of the Holy Spirit in his human nature. [So far both views are OK with this]. Yet if he were going to sin in his human nature, his divine nature would ensure he does not. Hence impeccability – Christ has the capacity to sin (peccable human nature) but cannot do so (because his human nature is united to his divine nature). Why insist on impeccability? Because Christ is the God-man, fully human AND fully God in one person. To say that he could have sinned is to say that Jesus in his divine nature could sin. Or to put it another way, that God could be in opposition to God. Taken to its logical conclusion, the sinlessness view begins to undermine the essential goodness of God. In a chapter on ‘Christ and the Embryo’ Crisp develops an essay on the status of embryo as person and related modern bioethical issues. Interesting and important territory, rarely I suspect, covered. To be honest I’m not a great fan of the highly rational, ‘analytical’ and somewhat speculative form of theological argument that Crisp is engaged in. It seems far removed from the earthiness, reality and story of the NT gospels and epistles. But it does develop important theological perspectives but you’ve got to have your left side of the brain in gear to stay with it. He offers a Christological argument for viewing humans as persons from conception. And further suggests that a properly Christian theological account of personhood cannot ignore the Christological implications that the Word became flesh. To hold to a Chalcedonian orthodoxy of the person of Christ [Jesus Christ; fully God, fully man consisting of two natures, human and divine, united in one person] Crisp argues that Jesus must be considered a fully human being at conception. Why? Orthodox Christology says that the Incarnation is where the divine Word assumes a fully human nature, the two are united in the one person of Jesus Christ. There is never a moment when the human nature of Christ is not united to his divine nature. To ‘delay’ this unity to a point beyond conception (say for example the foetus ‘becomes human’ at some later stage of development) would be to lapse into (a temporary) form of Apollinarianism (that Christ only appeared to be fully human but had not a human soul). It is important for Christology that the human nature assumed by the Word is complete; otherwise the Word is not fully human at the moment of Incarnation. And this has implications for how we think about human personhood generally. Like Christ other human beings are conceived with a complete human nature. This is not to say that this is a complete definition or description of human personhood – but it is a ‘minimum threshold’ for human personhood. And it is interesting and slightly bizarre (and new to me anyway) that Thomas Aquinas did NOT believe that Christ had a normal foetal development. Because he believed that only a fully formed embryo could have a ‘rational’ soul (for males after 40 days), he held that Jesus was conceived as a fully formed embryo! Crisp does engage with various objections to his proposal. – If personhood begins at conception, what of all the wasted embryos? (perhaps 50% of embryos are lost naturally). – Saying personhood begins at conception is easier than actually knowing when conception occurs – it isn’t that clear. – Human personhood requires development of the embryo beyond a bunch of cells – perhaps a heartbeat, perhaps a primitive streak, perhaps a brain. So Crisp concludes that if a compelling Christological argument can be made that human personhood begins at conception, there are significant bioethical implications for IVF, stem-cell research, and abortion.